Banking on the long-term prospects of shale development in New York, a Pennsylvania drilling company has purchased mineral rights to 160,000 acres in the Finger Lakes region from Chesapeake Energy. According to records filed last week with the New York State Public Service Commission, Minard Run, a family-owned company in Bradford, Pa., purchased rights to 104,779 undeveloped acres from Chesapeake of Oklahoma City for an undisclosed price. Minard plans to drill exploratory wells into conventional formations over the next 18 to 24 months, with a “high probability” of also exploring the Utica Shale using unconventional horizontal drilling and high volume hydraulic fracturing. Minard Run’s purchase of Chesapeake assets, in Cayuga and Seneca counties, also includes 56,139 acres with 413 conventional wells, most of them tapping the relatively shallow Queenston formation at 2,500 feet; 195 miles of pipeline; and three compressor stations. The developed acreage could accommodate an additional 990 wells, spaced on 40-acre units, according to the plan. CLICK HERE for a map. Minard Run, established in 1875, claims to be the world’s oldest independently-owned petroleum company. The Southern Tier and parts of Central New York sit over prime sections of two of the world’s largest shale gas reserves, the Utica and the Marcellus. But given the regulatory uncertainty and the low price of natural gas, once-frenzied prospecting in the region in 2008 has given way to a wait-and-see approach. 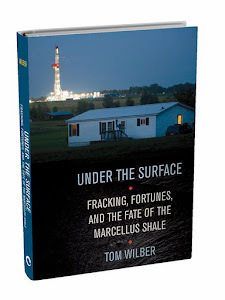 The New York State Department of Environmental Conservation is expected to begin permitting shale gas wells when it completes a regulatory and environmental review of the controversial process of high volume hydraulic fracturing, known as “fracking.” The review, now in it’s fifth year after multiple drafts and heavy criticism, is expected to be finalized sometime before year’s end, and will face likely opposition in the courts and legislature. Still, some companies are showing renewed interest in New York State Shale gas. Lindsay Wickham, a field supervisor with the New York Farm Bureau, reported recently that some areas are seeing an increase in the presence of landmen negotiating terms with landowners. In the PSC report, Minard Run officials outlined their plans “with the anticipation of natural gas prices modestly strengthening in 24-36 months,” according to a briefing filed with the commission. In addition to exploring the Utica, plans call for an additional 10 to 20 wells per year into the Queenston formation and additional pipelines and compressors. That would increase the number of traditional wells on the developed acreage from 413 to 1,400.
when the price of gas increase the goods the we needs also increase. 2/20 Binghamton Now, 9:30 a.m.
4/10 Thiel College, Greenville, Pa.
4/23 George Washington University, D.C.
3/24 Appalachian Studies Conference, Pa.
5/2 WAMC "The Round Table"
5/10 Lackawanna Cnty Library, Scranton, Pa.
9/17 WESA, Essential Pittsburgh, Pa.
9/17 University of Pittsburgh, Pa.
11/15 Yale University, New Haven, Conn. Always fight for progress and reform, never tolerate injustice or corruption, always fight demagogues of all parties, never belong to any party, always oppose privileged classes and public plunderers, never lack sympathy with the poor, always remain devoted to the public welfare, never be satisfied with merely printing news, always be drastically independent, never be afraid to attack wrong, whether by predatory plutocracy or predatory poverty.